As fun as having an entire month dedicated to Shakespeare was, my goodness it was hard work. I’m also now a bit lost in my plans, I have reviews that need writing, updates about Bingo and AWW that need posting. I feel like I’ve come back from a break and need to readjust. Not the case of course, but in a way Shakespeare and life took up so much of my time my plan to multitask blogwise has not come true. But I’m rectifying this and will be posting normally again soon. Even if I’m not that far ahead in my reading challenges I want to post an update just to start feeling on top of things again. I’ve got a new feature I finally got around to doing something about during Shakespeare Month. It’s been in my drafts forever and I finally did something with it so I’m excited about that. I have a few books events coming up and some I need to write up so I will be posting those over the week, Star Wars Day is coming up again on Wednesday too which will be fun. May also means the Sydney Writers’ Festival so in a couple of weeks I will be heading to Sydney for another week of awesome bookish fun. Really, the more I think about it I’m not actually becoming less busy, but there’s some exciting things happening. I’m also going to be doing a group read of the Bindarra Creek series with Jess from The Never Ending Bookshelf. You may have seen the multiple Facebook and Twitter posts about it. You’re free to join in with us, just head over to Jess’ post and leave a comment letting us know you’re interested. So that’s May, I can’t believe it’s May but it kind of feels like May too. Winter is coming and the weather can’t make up its mind so there’s some good rainy and cool reading days to enjoy. New Month, New Season, New Ideas! It’s 1 March, autumn has arrived, and with a new month comes to implementation of all my ideas! 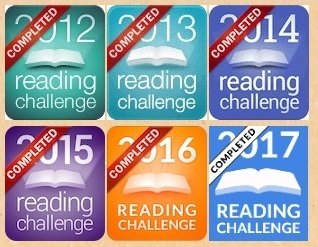 I have a few new blog features I am going to try about this year, and I have a few reading challenges I’m participating in that I will be updating you on. I’ve also had a restructure of my review requests and how I manage them. So there’s some of the new plans, all semi-inconsequential in the grand scheme of things but I’m a believer that if I share my plans I have more chance of following through so here we are. Already with only two months into the year I am again inundated with requests! Thank you all so much for wanting me to review your books, I am properly honoured. I also know how easy it is to become overwhelmed and bogged down with reading requests and become stressed trying to review them and catch up when I fall behind. It’s happened done before and it’s not fun. So as a result, this year I am restricting myself so I can maintain balance. I am going to review a set number of request books a month, leaving enough time for me to read other books and complete other goals like the Australian Women Writers, Book Bingo, or any other book. Nothing else has changed, as usual unless a request is made for a certain date/day for the review to go up it goes in the queue and read in the order I received it. And of course, if I review more than my set number a month that’s great! I just need a limit so I don’t become stressed. Last year was so chaotic with falling behind and promises and the fact I think I read nothing but requested books I don’t want to do that to me or you guys again. So there’s that. But that’s just one tiny thing I have happening! I’m going to be posting ongoing updates once a month about my Book Bingo process and my AWW challenge (and sticking to this plan). I’m also looking at a new feature called “From the Shelf” where I pick a book from my bookshelves and read it. That way I can also address my unread book collection and share all the awesome books I have. In fun actual news, I have two big events planned for this year: the 400th anniversary of Shakespeare’s death and the 90th anniversary of Winnie the Pooh. Like my July block out for His Dark Materials, I will be doing something similar in April and October for these events so look out for those. The Newcastle Writers Festival takes place early April so there will be a lot about that as well. In the near future, I have a few reviews coming up this week for some amazing books, and I am heading to a book launch this weekend so I’ll be posting a wrap up of that too. The event is for YA author Kaz Delaney’s new book The Reluctant Jillaroo, if you’re in the Newcastle/Hunter area and want to head to Cardiff library this Saturday come and join the festivities. Details on booking here. I’ll also be drawing the winners from my Loved Loot giveaway. I’m pretty sure every entry is going to win so congrats, but I will post about that soon too. This is a very brief update because I have so much to do I can’t spend all the time talking about it and not actually doing it! I look forward to sharing my new features, and hopefully share with you some amazing books and book content! Don’t forget to like the Facebook page and Twitter for a bunch of other content like articles and fun book things I don’t share on the blog. Happy 1 March and hopefully you are all reading something spectacular! 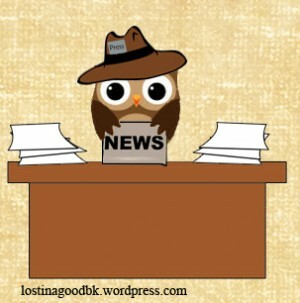 I have not done a news post in forever which is odd because there is SO MUCH NEWS! I have been insanely busy since August and it has not gotten easier. I have been reading great books by great people that I was asked to review, but I had so many it did mean closing submissions which was hard to do. Unfortunately I still have submissions closed which I am very unhappy about since I loved getting requests from people to read their books! Promise me that when I open them again at the end of December you will still send them in and not punish me for closing them from you for the past three months. Promise! I have been trying to read the few books I have left quickly and get through them so I could reopen submissions but life has just been filling my time and with reading the books I had and everything else I knew opening them before I had completed the current pile was not very wise. I also apologise to those still waiting on reviews, it has been a couple months but THEY ARE COMING, if not very slowly. I am determined to have them all read and reviewed by the end of December so please do not think I have abandoned you or forgotten about you, I have not. In less guilty news, at the end of October I attended a Dymocks Literary Lunch in Sydney for my all time favourite author John Marsden. It was beyond amazing and he spoke of so many wonderful things from reading, writing, to children and education. I did not get to write anything down but on the long train ride home I racked my brain to try and remember a few bits of his advice and jotted them down. There was some wonderful explanations about his writing that made me reassess my own writing and have a great “oh that makes so much sense” moment. He also spoke of his favourite authors, adult, young adult, and children’s. Morris Gleitzman, Andy Griffiths, Helen Garner, and Kate Greenville were some of his favourites along with Alice Pung. Something that stood out to me was that he said if Jane Austen were writing now she would be writing like Alice Pung, which is a huge compliment in my book. I think I will be thinking of things John spoke about for awhile, snippets popping into my mind every now and again. Maybe there is a recording of the discussion…though this may be asking a bit much. This was my first literary lunch but I had some wonderful women on my table who were regular attendees and I heard some wonderful stories of previous events. Belated shout out to Ursula, Kim, Hazel, and Shirley on table 11, thank you for making my day extra enjoyable and making me feel so welcome. The lunch was so fancy as well so I felt so out of my comfort zone, there were multiple forks to navigate; I had fancy wine I could not pronounce, and a delicious and very fancy lunch which concluded with sticky date pudding which was divine. I am such a sucker for sticky date pudding so the event could have been terrible and I’d probably have been happy (how could it have been with John Marsden though, really?). I got my copy of John’s new book South of Darkness signed and he thanked me for coming before telling me I brought the average age of attendees down by about 10 years which was a nice compliment, I think. Revisiting this event makes me wish I had done a post at the time, but I did not trust my memory to remember what John spoke about and didn’t want to just have a vague post which is a shame. But if you ever get the chance to go to a Dymocks Literary Event, the cost is a bit high but it is worth it if you get a great author, and you meet some great people. October was also the month I graduated from my Masters degree (finally!) which means after two stress filled years I am now officially a librarian! (I have decided I am allowed to call myself a librarian despite yet to acquire a librarian job). So that was October, November on the other hand has been filled, as usual, with the National Novel Writing Month (NaNoWriMo)! But in some excellent news, for only the second time in the seven years I have been doing NaNo I have not had uni work to do at the same time! This made me so pleased, because I remember how stressful it was, especially the past couple of years when uni did not end until the last days of November meaning I had NaNo stress and assignment stress side by side. I am still a bit behind in my word count because life has been butting in again, but I’m slowly catching up and each thousand words is a great cause of jubilation (as those on Twitter may have noticed). With only four days left to reach the target of 50 000 words there is going to be some long writing days, especially since I have some other events on for those final two days but I have not had a year where I have not won and made the 50k word limit goal and I do not plan to start now. One of the events at the end of month, this Saturday in fact, is the Sydney Author Event. I am not sure what to expect with this, being its first year, but I am curious and will write up a post after it is over and fill you all in. Also, don’t forget that during this final week of November I have an international giveaway running to win one of two paperback copies of Sandra Fitzgerald’s novel Maggie’s Five. Check out the giveaway post for details and get your entry in before midnight November 30th AEDST. Lastly, in my last news I mentioned I had acquired a tiny baby Ewok called Coco. 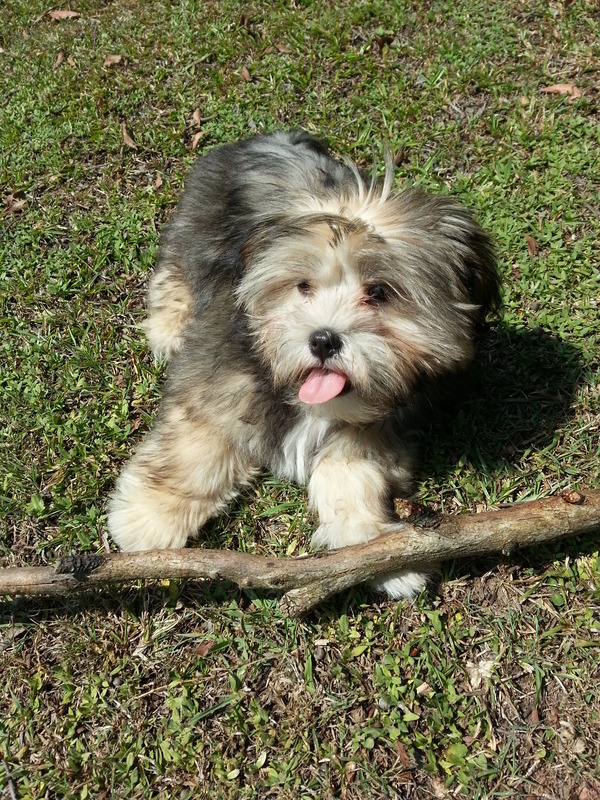 Said Ewok has grown up fast and it a little less Ewok now, but still an epitome of fluff and cute. I feel an update is needed so you can see just what kind of cute I have had to deal with these past three months and who is responsible for most of my interruptions during the day. So that is it! Apologies for being so long but I did not realise I had so much to catch up on. I will try and not make it so long between posts next time, and hopefully I don’t think of anything else to add! Have a great day wherever you are, and read something spectacular!